Hello everyone! 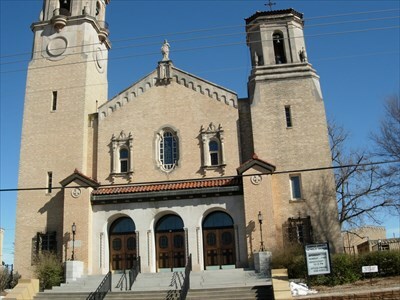 This month for our church visit with mass, we will visit Corpus Christi Catholic Church! At our church visit events, we visit the amazing Catholic Church’s in OKC and surrounding cities. Some will stay after Mass to spread the word about CYAOFOKC and what we are all about! Please come and attend Mass and/or hang out for a bit afterwards! We will also grab lunch after Mass! Please come a bit earlier so we can all sit together! If you have a CYA shirt, wear it! Mass is at 11:00a.m. We look forward to seeing you all at Corpus Christi Catholic Church!